There is nothing worse than getting stuck in the rain, unless you have this 9 ounce wunderjacket stuffed in your pack. The eVent fabric used by Integral Designs has reset the bar for lightweight, breathable, waterproof gear. 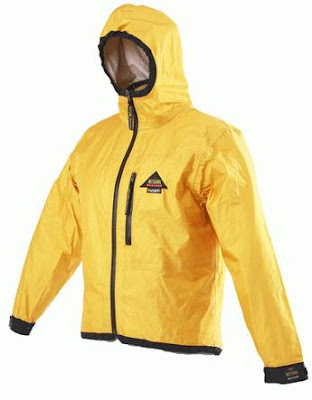 This unisex jacket features a full waterproof front zipper and an integrated elastic hood. A large zippered chest pocket is designed to store maps and essentials. No matter how heavy the rain or strong the winds, you will stay warm and dry inside. Firmly seated at the apex of this gear category, the ID eVent rain gear is worth every penny of its rather hefty price tag.